Decore-ative Specialties' Todd Shapiro will detail the joint development of this CNC-controlled door sander with Bacci. A CNC-controlled cabinet door sander that out-performs humans may sound very pie-in-the-sky. But the engineering of the technology, which can calculate how to sand a five-piece door, or doors of whatever shape and size it encounters, actually took place in a dramatic joint development effort between Decore-ative Specialities, and Bacci America. Decore-ative Specialties VP Todd Shapiro will recount the creation of the sander on July 18, during a session devoted to similar new technologies such as custom, one-off laminate panels; digitally 'veneered' Baltic plywood; Blue Tooth machinery links for old and new machines and similar advances at the Woodworking Network Leadership Forum at the Las Vegas Convention Center. Speakers will examine these technology and material trends, as well as business processes that will impact the design and production of cabinetry, furniture and interior millwork in the next decade. The exciting roster of more than 20 speakers includes (from left) North American Plywood Corp.'s GM Dan Kuser, Decore-ative Specialties VP Todd Shapiro, and Joe Wheeler, Professor of Architecture + Design at Virginia Tech University. See who else is speaking>>. Joe Wheeler, Professor of Architecture + Design at Virginia Tech University shows a revolutionary prototype for the home of the future, with designs that lend themselves to modular cabinetry and furniture manufacture. Over the past four years, prototypes for the kitchen, bath, living room, bedrooms and home offices have been developed and shown at KBIS, with 25 industry partners, including Sherwin Williams and California Closets, providing design expertise. DR Johnson Lumber CEO Valerie Johnson and Oregon State and University of Oregon's TallWood Design Institute new manager Iain MacDonald detail the exciting developments in wood materials supporting a supply chain for timber towers. Eighteen-story buildings and massive condos, hotels, and schools have already been built in North America, including a 50,000 square foot warehouse nearing completion. Initiatives to mine manufacturing data are providing insight into production issues, far more analytically than casual observation. 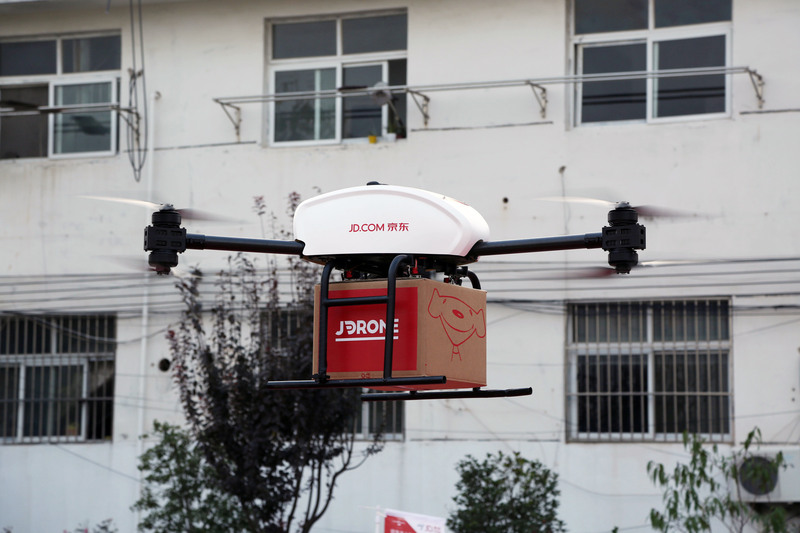 This data, increasingly gleaned from the Industrial Internet of Things, provides a basis for business strategy and sales growth, and supports initiatives such as Industry 4.0. 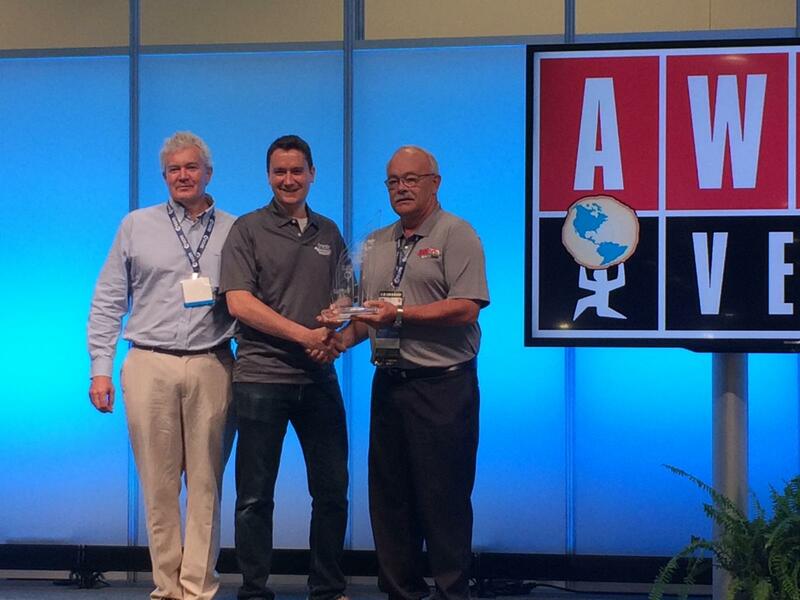 Wood industry data expert Mick Peters and author of Love Thy Data presents an overview. Going beta with suppliers, these wood managufacturing managers will relate first-hand the development of new technology for their operations. 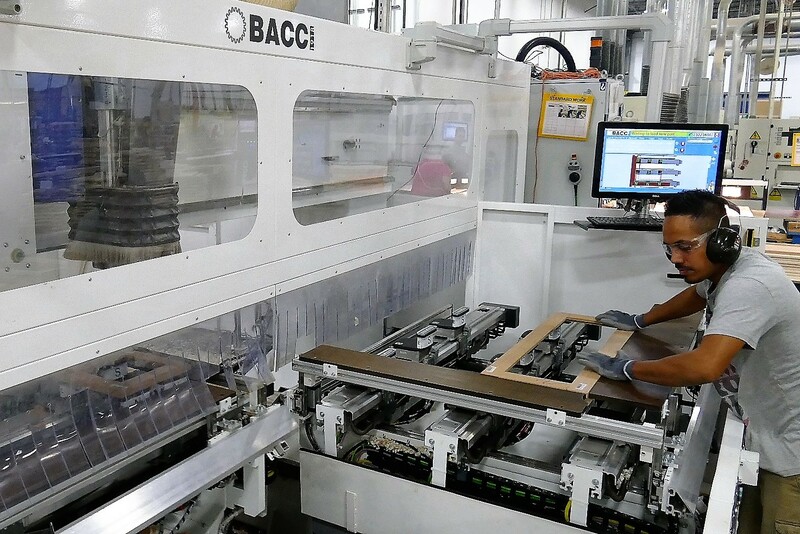 • Decore-ative Specialties VP Todd Shapiro and Bacci America’s Joe Barry recount the two-year joint development of a custom CNC cabinet door sanding system, versions of which are now on the market. • Timberline Cabinetry & Millwork’s Kent Swinson and software expert Roger Shaw recount tailoring Production Coach enterprise software following a plant audit. • North American Plywood GM Donald Kuser details joint-development with Fuji on its Inca Onset high-speed digital staining, that turns 5x10’ plywood sheets to a high-def oak veneer look in 90 seconds. John Mills, CEO of Inca Digital Printers , Cambridge, U.K., will co-present. • RCS Millwork’s Dan Keller and millwork firm Wilkie Sanderson president Marc Sanderson, will talk about the development of a plant-wide management system with Innergy to integrate machinery and processes. • One-off Digitally Printed Laminates - Stephanie Richardson, Design Manager, Schattdecor, will explain the technology and applications behind global decorative surfaces leader Schattdecor's move into its emerging digitally printed surfaces. Schattdecor operates its major U.S. production facility near St. Louis. • Flame Finished Wood – Andy Hehl, head of Kebony USA and Delta Millworks have developed a new line of stylish wood that is finished using the trending Japanese Shou Sugi Ban technique. 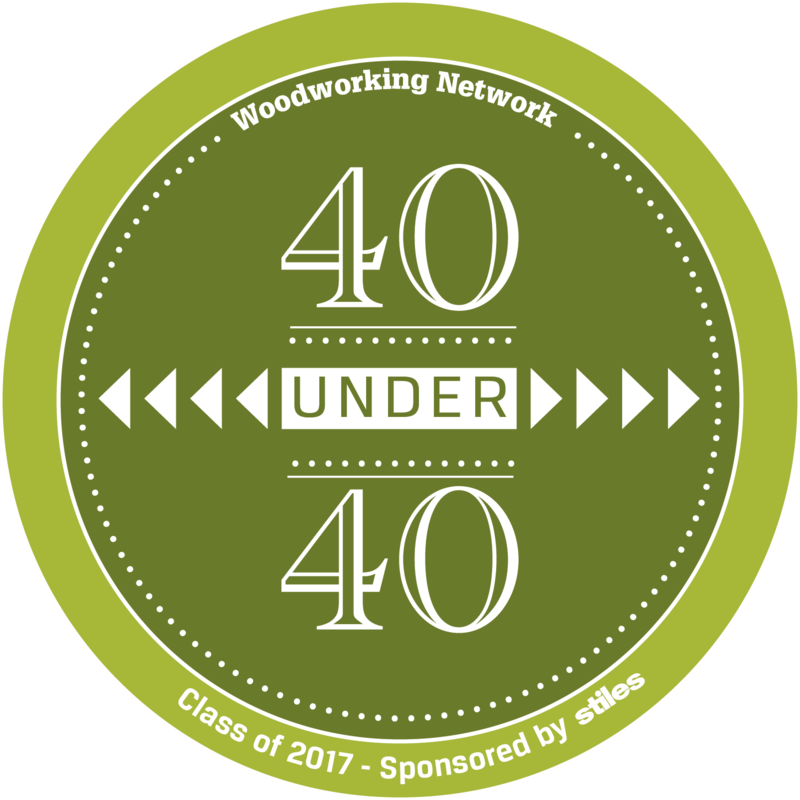 This prequel to the evening Wood Industry 40 Under 40 Awards program (sponsored this year by Stiles) will poll some of the industry’s best and brightest rising talent. You'll learn how differently they think, and pain points they encounter as they try to change their organizations, and their industry.